CPTV Kids is pleased to announce that it will be at the 2018 Connecticut Kids Fair at the Connecticut Convention Center in Hartford on Saturday, February 3 and Sunday, February 4. Visit the CPTV Kids booth for giveaways, and enter to win a Family Four-Pack of tickets to see Sesame Street Live. 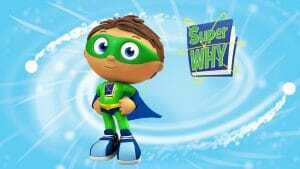 Plus, meet the popular CPTV Kids character Super Why! He will be available to meet and greet kids and families at 10:30 a.m.; 11:30 a.m.; 12:30 p.m.; 1:30 p.m.; 2:30 p.m.; and 3:30 on both Saturday and Sunday. More information on the Kids Fair is available here.